Barcelona is a city that colors outside the lines. It’s exuberant and inventive, with an extraordinary artistic past framed by the proudly distinct Catalan community. 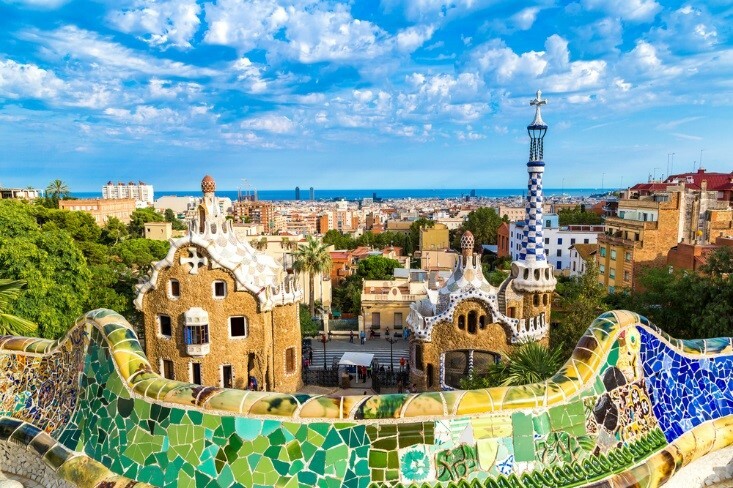 You won’t have to look far for your next great meal or Gaudi masterpiece, which makes it a splendid city to walk through, and there’s certainly no shortage of colorful characters to meet along the way. 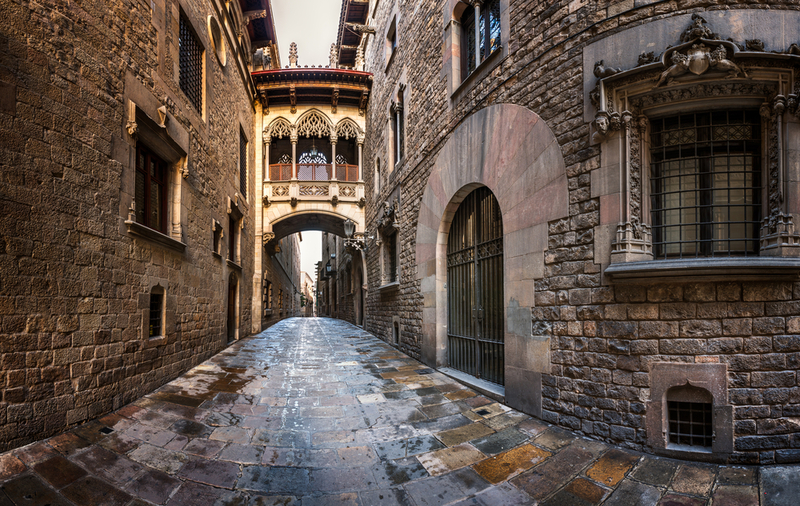 Barcelona has a Mediterranean vibe all its own, and before you leave the glistening coastline and voluptuous architecture, be sure to hit these eight remarkable sites that ooze Catalan culture. North of the city center sits Gaudi’s famous undulating mosaic landscape – hands-down, one of Barcelona’s most beautiful attractions. In true Gaudi form, the park features a heady mix of collages, curving statues, and green space, with a network of walking trails to lead you through the strange and enchanting sites that were once meant to become a neighbourhood for Barcelona’s elite. 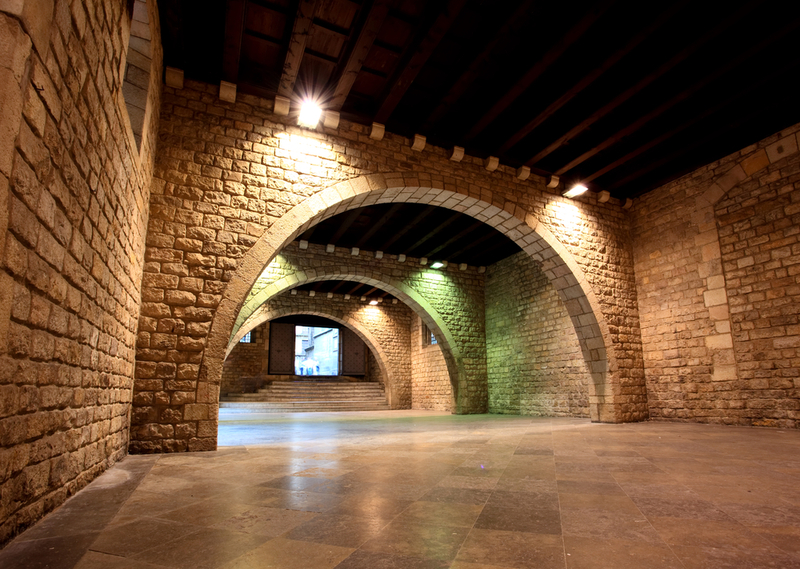 The Sala Hipóstila is a bold and colorful space, originally meant as a marketplace, with its famous stonework gallery and symbols of the seasons. The Casa-Museu Gaudi is easy to spot with its long spire, and houses the architect’s furniture designs, as well as an impressive collection of his sketches and sculptures. 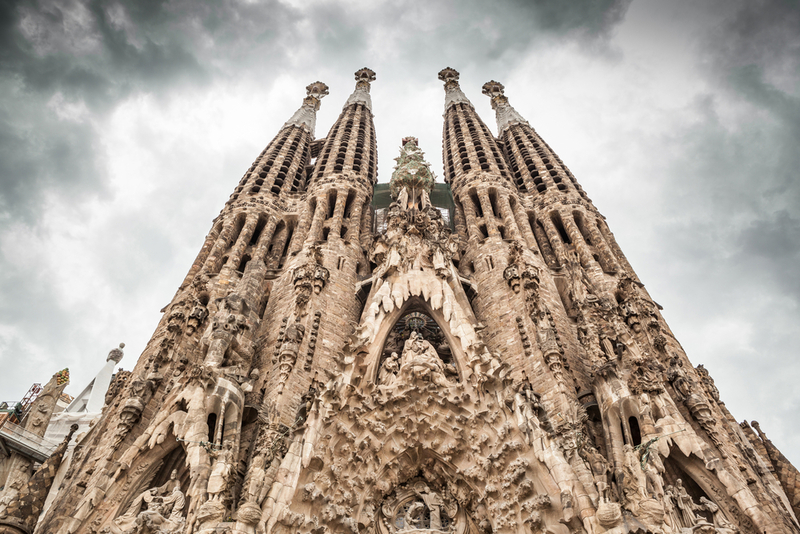 Another Gaudi mainstay of the city, La Sagrada Familia is a mesmerizing collection of towering turrets and organic shapes with a catholic resemblance, but evidently inspired by Barcelona’s natural surroundings. 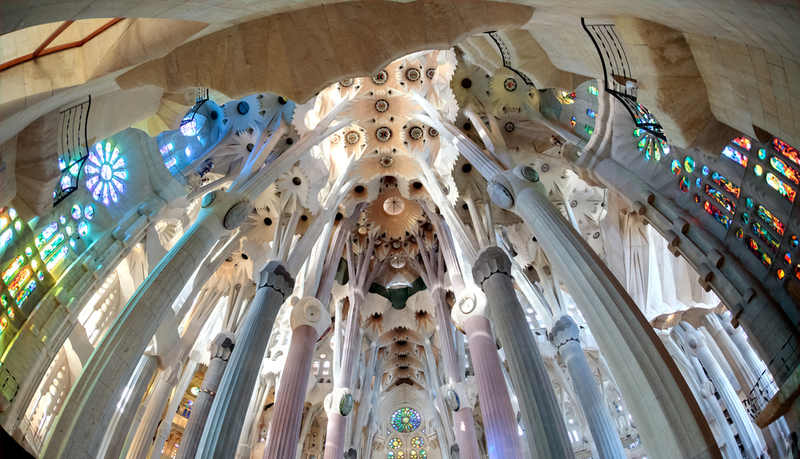 It was Gaudi’s most ambitious and obsessive project (when patron funds ran out, he threw his own savings into the church, working on it right up until his death), and though it’s still unfinished, work continues to complete Gaudi’s monumental vision. Inside, the naves and facades are unlike any other religious house, partly owning to the mix of styles and materials used over the course of many decades. 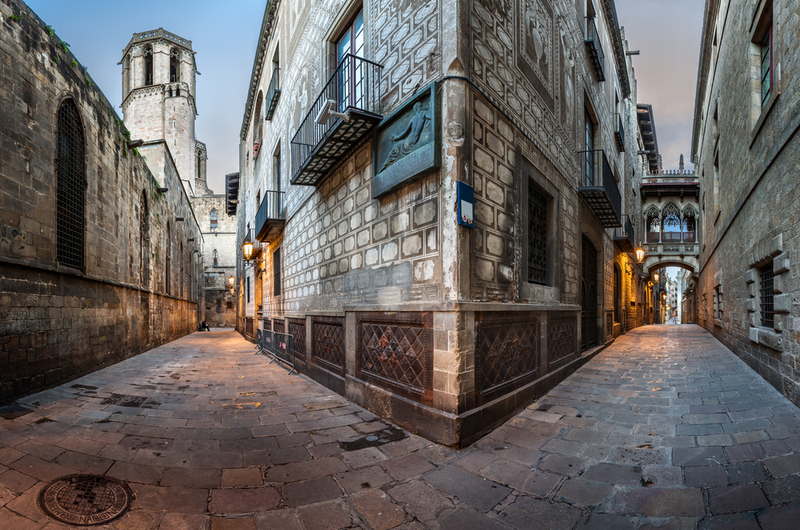 Known locally as the Barri Gòtic, the city’s cobbled medieval corner is a pleasant maze of little shops and charming squares. 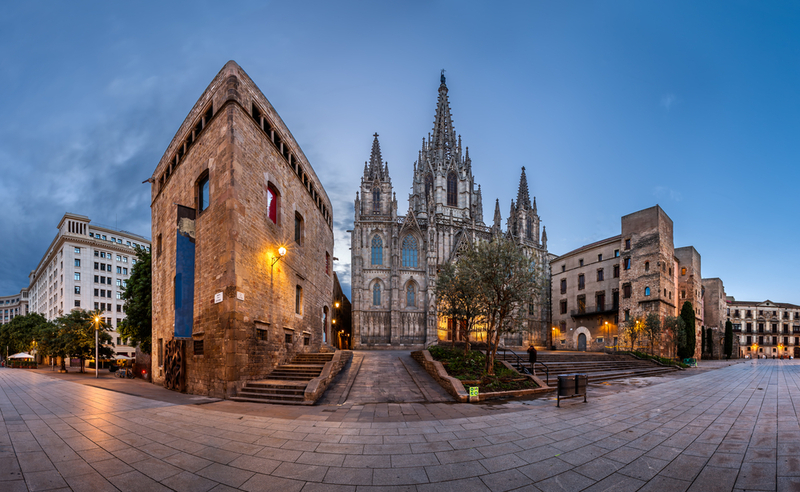 There’s plenty of impressive architecture to spot here, like La Seu Cathedral (considered one of the finest Spanish architectural feats), but one of the nicest ways to enjoy the neighbourhood is with a glass of wine at a small bistro table amid the palm trees of the Plaça Sant Jaume, watching the people go by. Afterwards, energize yourself with a wander through the stone alleyways until you reach one of the main drags and step back into modern-day life. After admiring Gaudi’s unique take on modernisme, switch gears with a visit to the Picasso Museum, where you’ll find – you guessed it – a wealth of the prolific master’s essential works. 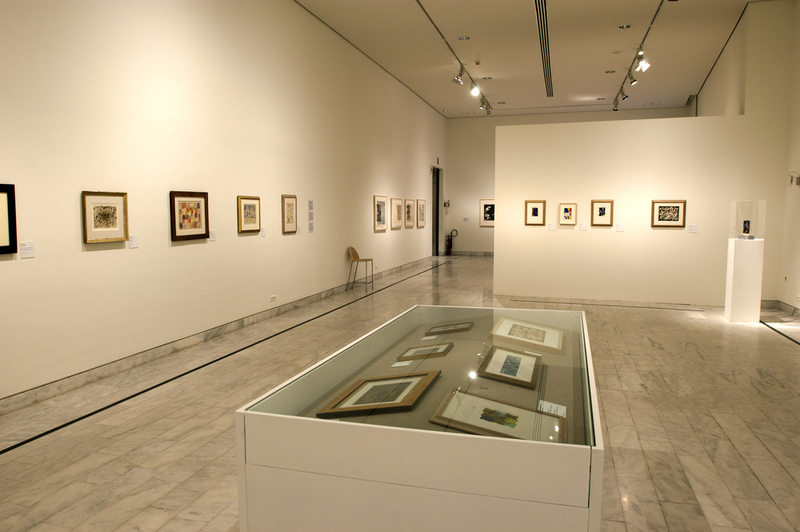 You’ll get a peek into Picasso’s formative artistic years, most of which he spent in Barcelona, but the 3500 works in this museum’s collection invariably trace his career into his later cubist stages, too. The setting is as impressive as the treasures within: a collection of medieval walls and charming courtyards tucked into the crevices of the five stone mansions. This astoundingly ornate hall deserves a place on your itinerary for a couple of reasons. First off, it’s a wonderful example of other architectural influences in the city; while Gaudi is certainly an important figure in Barcelona’s distinct design, this Art Nouveau masterpiece of Lluís Domènech i Montaner is as much a representation of Catalan creativity and vibrancy. 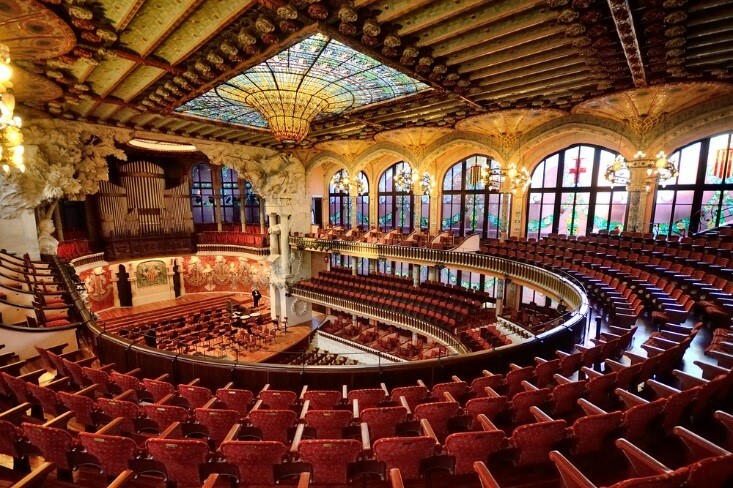 With its unmistakable musical slant (sculptures of Bach and Beethoven grace the pillars) and a flood of light through the elaborate glass ceiling, catching a Catalan concert here is a memorable and wholly authentic Barcelona experience. 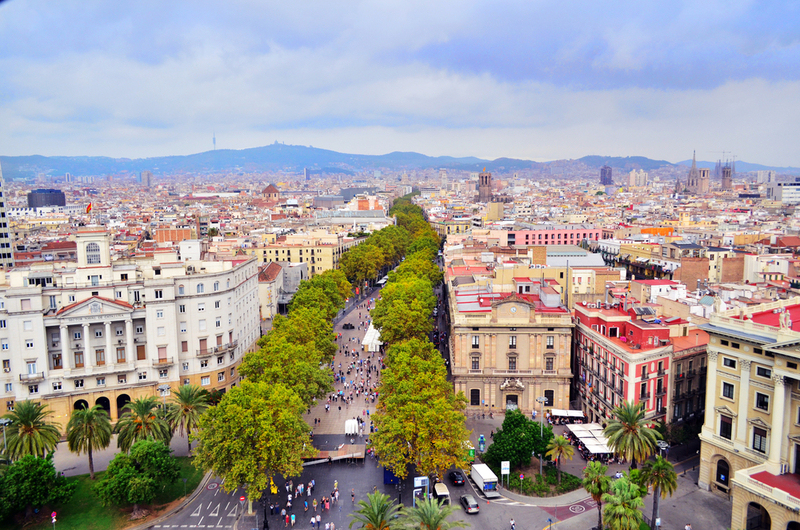 Indulging the senses is a quintessential part of the Barcelona experience, and a stroll down La Rambla will do just that. You’ll find plenty of tourists alongside the street performers and vendors, but there’s a lot of sights to enjoy on the one kilometer walk, including some impressive architecture that lines the frenetic promenade. Another bonus is that this outdoor amusement park is free – as long as you resist the urge to stop in at a sunny cafe for a pitcher of sangria (which is no easy feat). 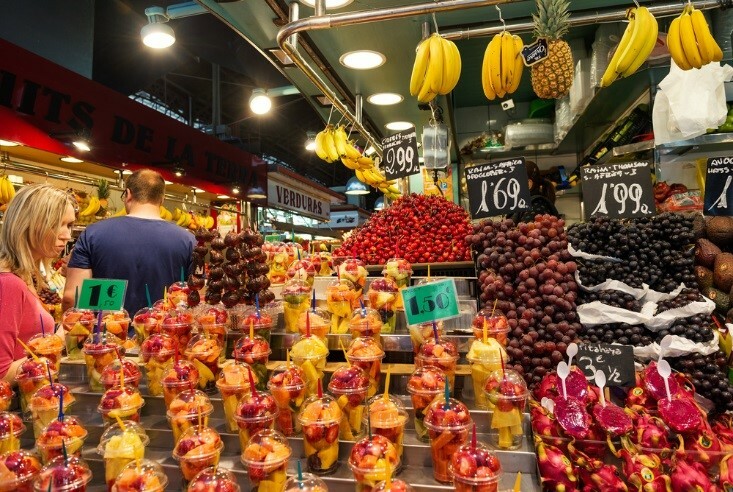 One of the largest, most jubilant permanent markets in the region, la Boqueria is as historical as it is tantalizing. Since the 17th century, this market has been the pulse of local trade, with farmers, butchers, and mongers of all types flocking to its covered stalls to sell their wares. Today, it is flowing with a dizzying array of fresh produce and delightful local treats, from fine wine to typical street food. Visitors and locals alike appreciate the top-quality food, but even if you’re not planning on doing your weekly shopping here, a stroll through the stalls is well worth your time. Barcelona is certainly an urban landscape, and although there’s no shortage of fantastic city sights to enjoy, sometimes you need to recharge with change of scenery. Head to the beach for a different perspective on the city’s Mediterranean heritage, where you can rest your feet in the warm golden sand while you take in the seaside activity, and perhaps get a bite to eat at one of the restaurants along the promenade. It’s pretty popular, but the beach is wide and the atmosphere is light and happy. For a quieter coastal experience, head north to the Fòrum area. A neighborhood that is unfortunately overshadowed by the adjacent Gothic Quarter, El Raval is a hip and happy place, though its edgy vibe is not lost on visitors. This is an important facet of Barcelona, honest and authentic, and always evolving. Not too long ago, it was a fairly seedy cluster of clubs and languishing locals, but there’s been a turn towards more a more cosmopolitan mind-set, with impressive museums popping up to serve an increasingly intellectual and culturally interested crowd. The result? 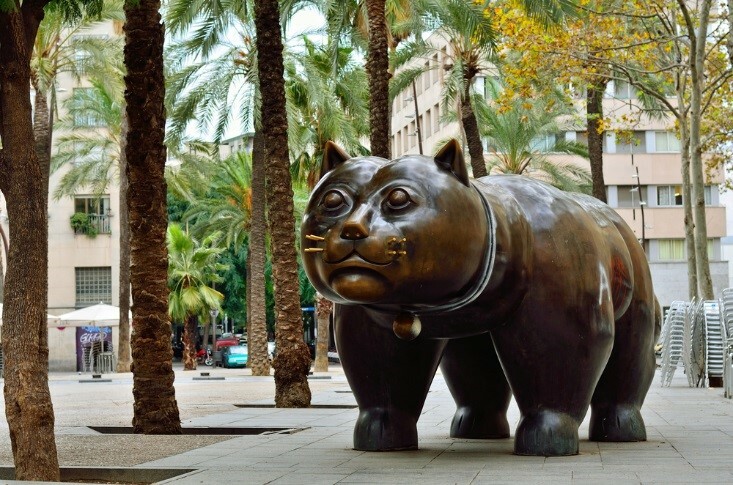 Plenty of cool vintage shops and independent cafes alongside top-notch art collections, like the massive Museu d’Art Contemporani de Barcelona (MACBA). 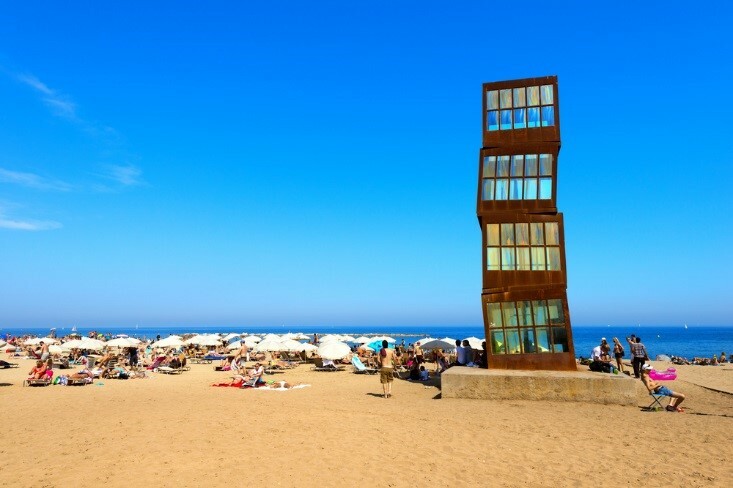 Summer is undoubtedly the most pleasant and popular time to visit Barcelona, when the streets are buzzing and the sun brightens up every site. If you can, consider planning your visit around the Festa Major de Gràcia, a festival in August that fills the streets of the Gràcia neighbourhood with lots of camaraderie, friendly competition, and plenty of free outdoor concerts. Can’t make it in the summer? Don’t fret – late September brings the fantastic Festes de la Mercè, lighting up the city with fireworks and rambunctious parades.